Our incredible fleet continues to grow. 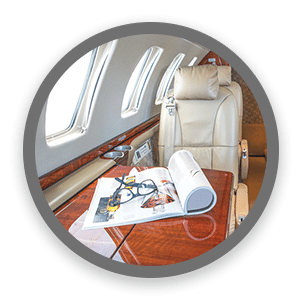 NICHOLAS AIR has added two new Cessna Citation CJ3s to the lineup which means even more comfort, reliability, time, and efficiency for you, our Members. The CJ3 offers ample cabin space and luggage capacity, along with its improved ability to operate into and out of shorter runways. Known for its performance, range, and dependability, this aircraft lands perfectly in the NICHOLAS AIR fleet. As an upgrade from the Phenom 100, it’s the ideal option for both short and mid-range flights.